Frederick George, as of the 2015 season, he is the oldest running back in the NFL. 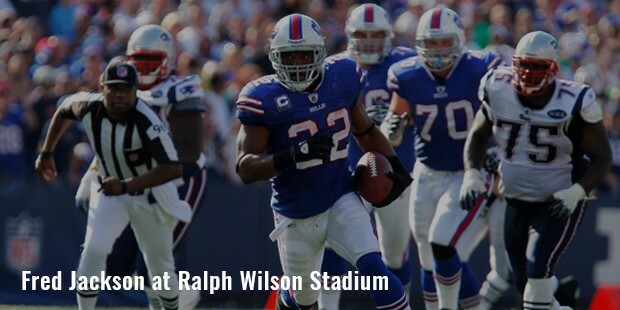 "Fred" Jackson is an American football running back. Jackson is an all time Buffalo Bills fan favorite. He played college football at Coe College. 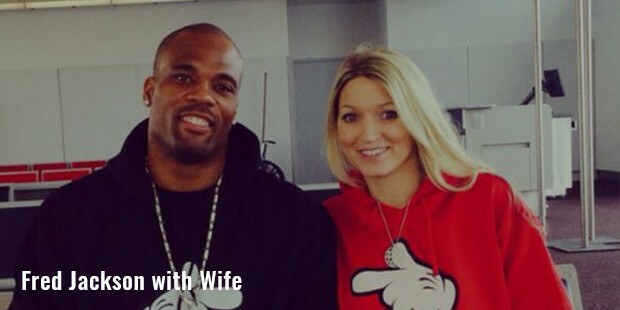 Jackson made his first NFL appearance after going undrafted in 2003 and playing in NFL Europe. He was born on February 20, 1981 in Fort Worth, Texas. Jackson attended Lamar High School in Arlington, Texas. Jackson was a state-qualifier in the 100 meters and recorded a time of 40.78 seconds as a member of the Lamar 4x100m relay squad. Jackson is married to Danielle Jackson in 2006. They have four children. 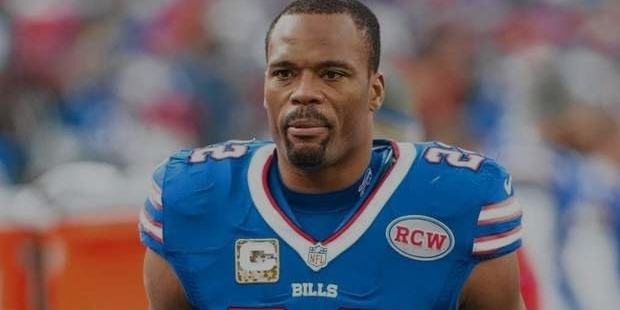 Jackson has his own television program, Fred Jackson Show airing on WBBZ-TV. It began airing on September 10, 2012. Jackson enrolled in Coe College, a Division III school. He graduated in 2003 with a degree in sociology. 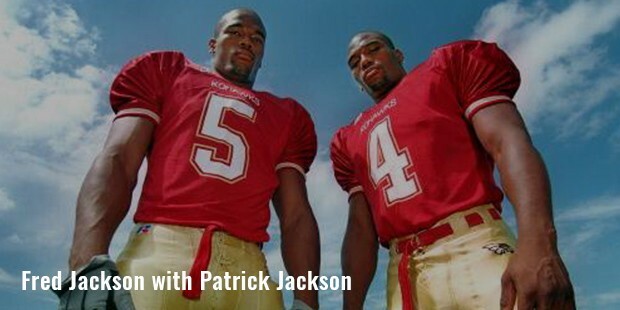 At Coe College, Jackson was named to five All-American teams in 2002, rushing for 1,702 yards and 29 touchdowns. He was a two-time Iowa Intercollegiate Athletic Conference MVP for the Kohawks. At the beginning of his professional career Jackson played indoor football for the Sioux City Bandits as he seemed too small a player for National Football League. Jackson played two seasons for the Bandits in the National Indoor Football League (2004) and United Indoor Football (2005). He was named the 2005 UIF co-MVP in 2005.He played in NFL Europa for the Rhein Fire in 2006, leading the team with 731 rushing yards. Jackson started playing for Buffalo Bills from 2007. He became the first Division III running back to start an NFL game since December 24, 2000. In 2009, Jackson signed a four-year contract extension to stay with the Bills and on May 5, 2012, signed a two-year contract extension, keeping him with the Bills until 2015.